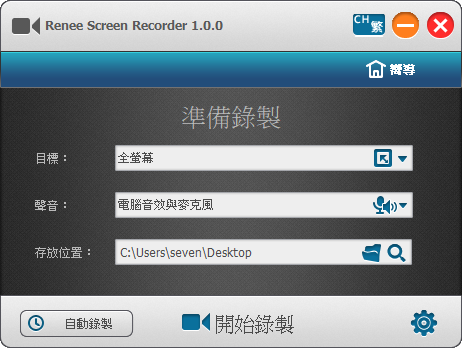 Screen Recorder can do you a favor when you want to make a video guidance for a software, prepare a video presentation, record a game match or even the online video chat and much more! Renee Screen Recorder is simple to use. Just a few steps you can start and make the screen video! You can make the screen recording with or without sound and enable/disable the webcam whenever you need in recording time. Multiple output formats are available. More functions are waiting for your exploration!